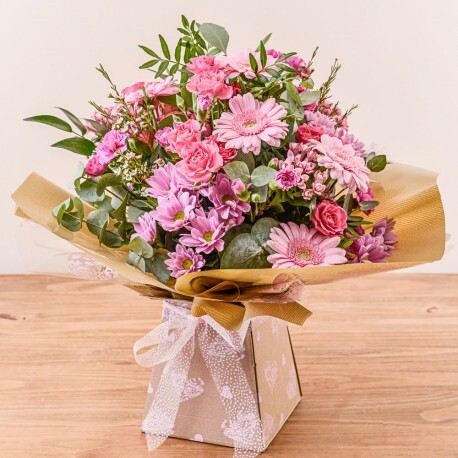 Pleasant bouquet arrangement ideal for any occasion. A beautiful hand tied aqua bouquet in pretty shades of pinks. Can be arranged in any colour of your choice.